PST Lawns EVERgreen artificial grass has been developed specifically to look and feel like a natural lawn. 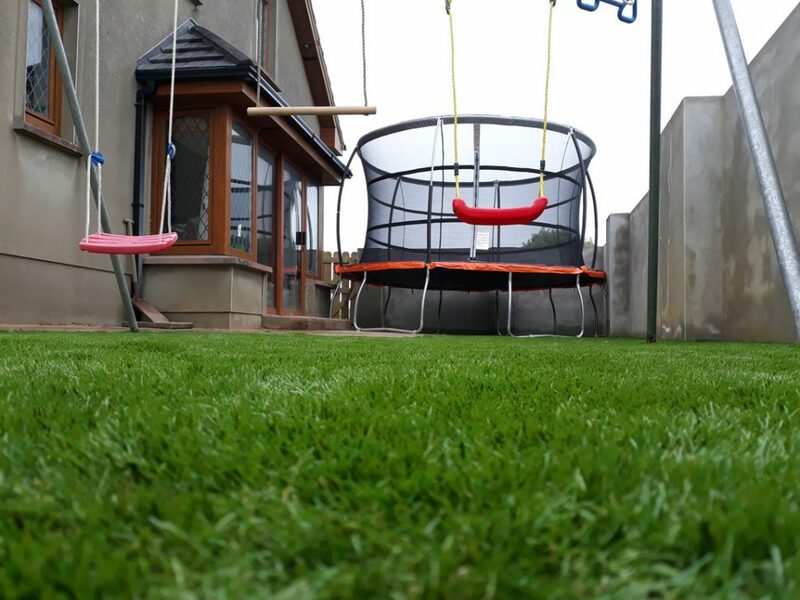 With a 35mm thickness this superior artificial grass gives the impression of a lush, well maintained all-season lawn without all the hassle of upkeep and maintenance. PST Lawns EVERgreen range is very popular for residential garden lawns providing a beautiful outdoor living space that looks great all year round. Our team of dedicated installers can fit a garden anywhere in Ireland and transform your outdoor space in no time. EVERgreen is also ideal for shady areas or lawns where grass just won’t grow. Click here to view the spec sheet for our EVERgreen artificial grass. Our EVERgreen artificial grass is €28 per m2 including VAT for grass only. For EVERgreen artificial grass plus installation by PST Lawns CONTACT US directly for a quote. Alternatively, you can call us on LoCall: 1890 917 006 and one of our team will be happy to help you.